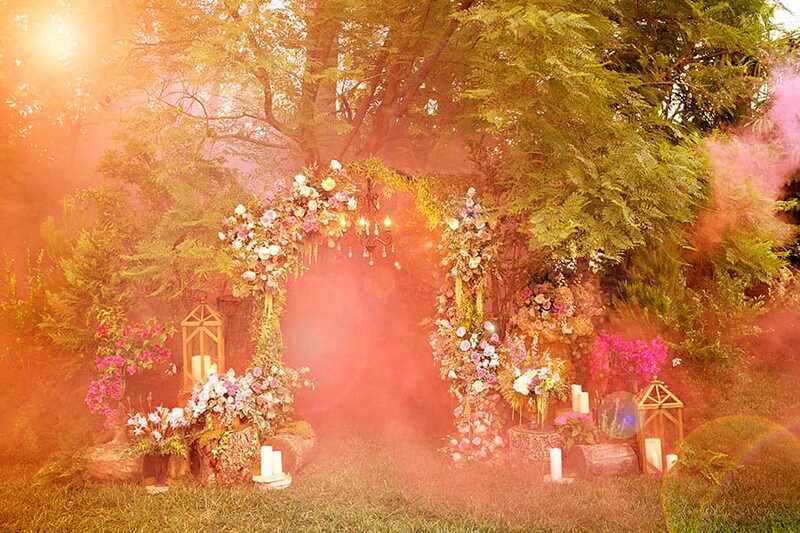 This week's princess inspired look is a true fantasy. 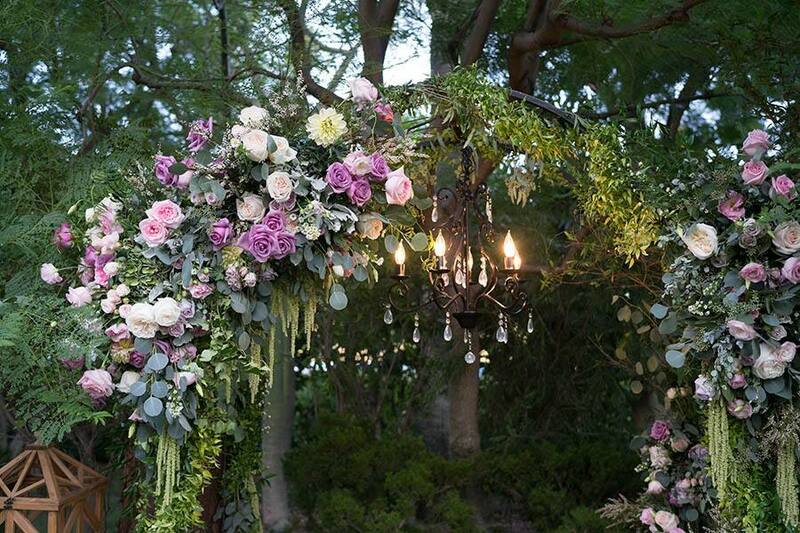 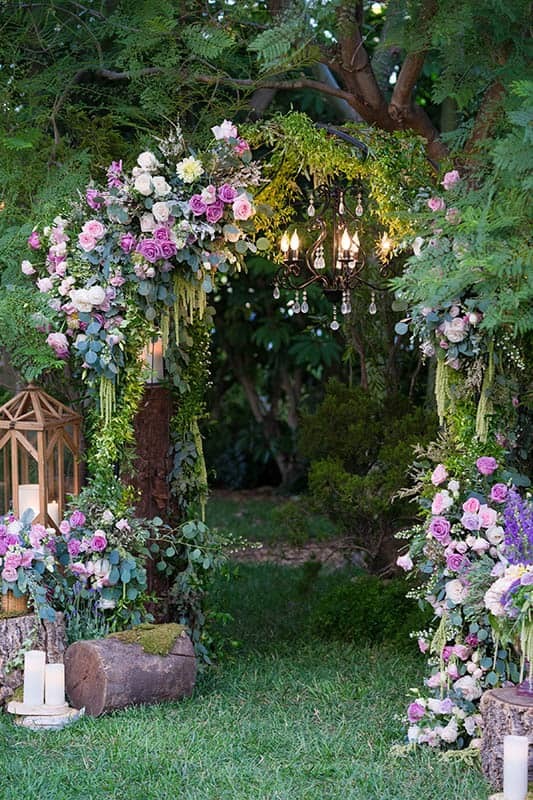 Sleeping Beauty, otherwise known as Princess Aurora, is the muse for this storybook ceremony decor. 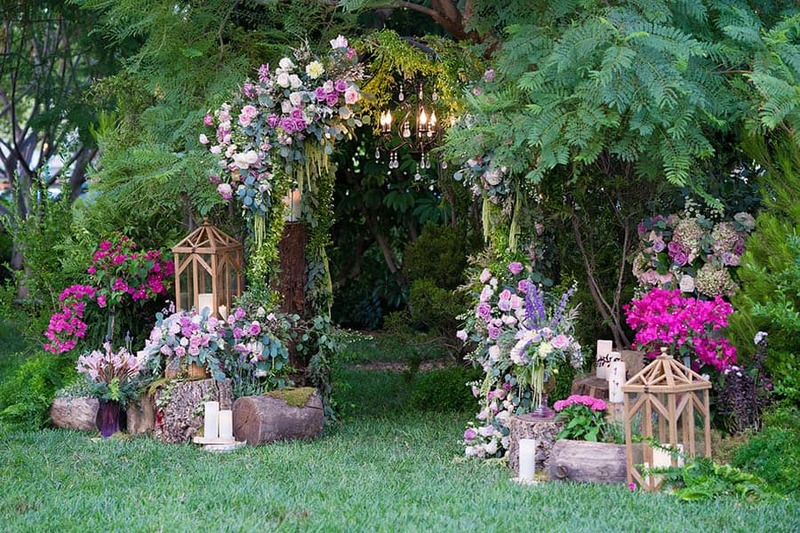 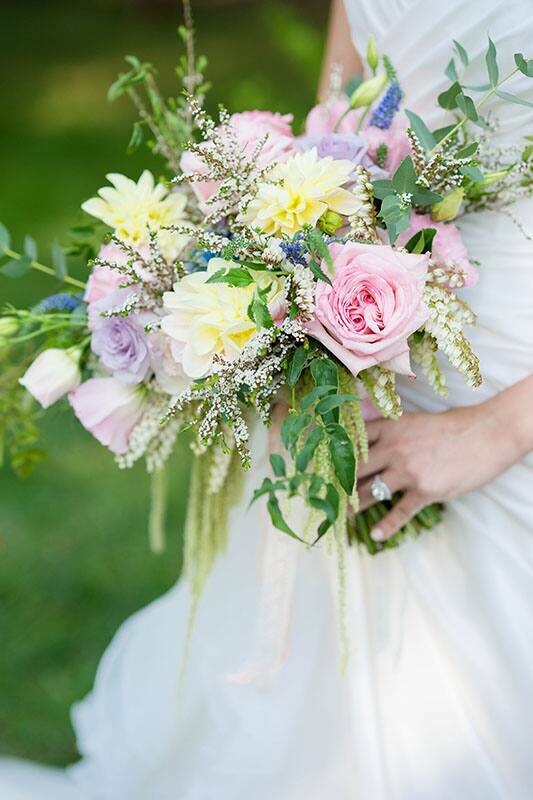 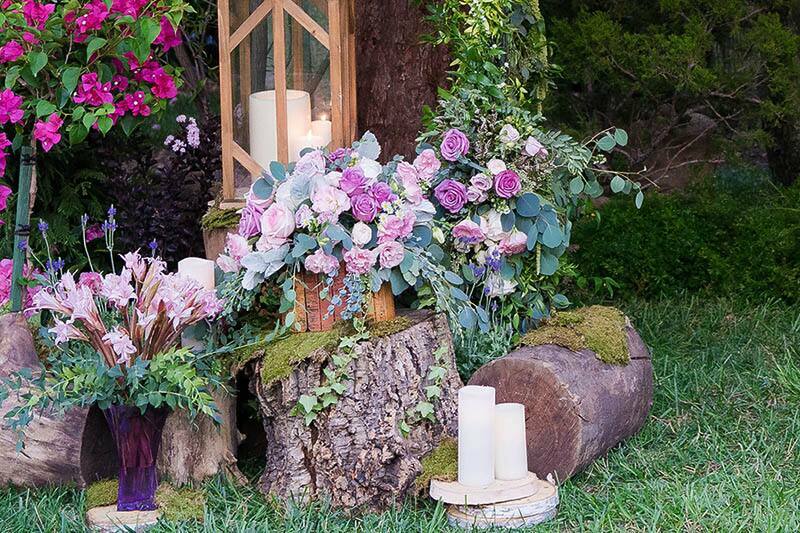 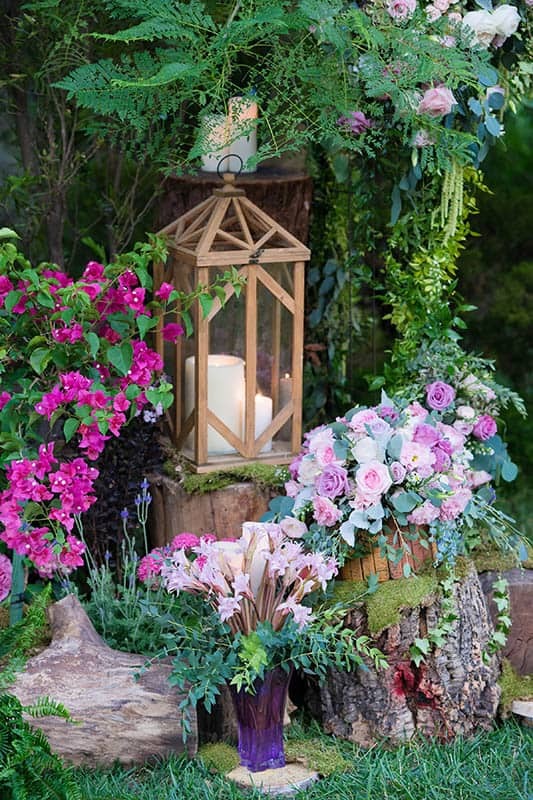 Influenced by her time spent living in the forest with the three fairies, this setting is blooming with abundant flowers, rustic tree stumps and logs, as well as romantic candles and lanterns. 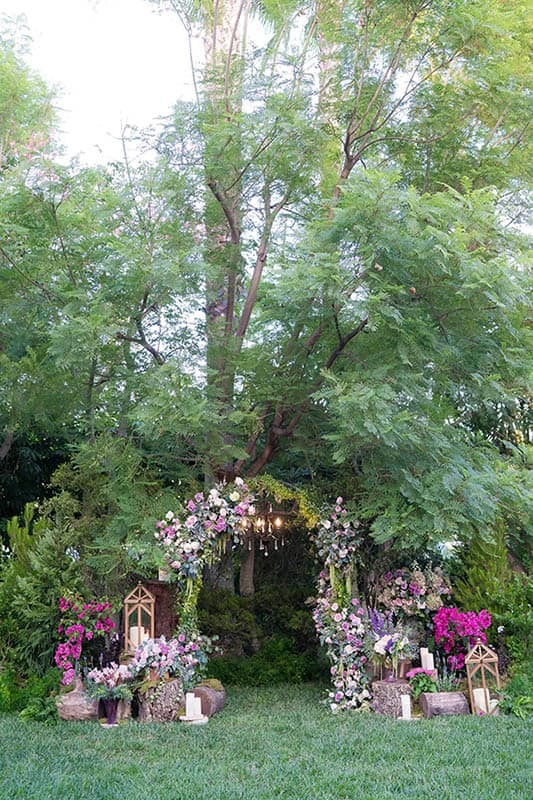 It is the ideal location to display true love's first kiss!